In fact, check out this tasty recipe that packs in over 35 grams of protein. Make is for breakfast. Make it for lunch. Heck, make it for dinner. This recipe is simple, delicious and sure to please your hungry family! Melt butter over medium heat in a 9- or 10-inch skillet. Add onions and sauté for 2 to 3 minutes. Add mushrooms and sauté until soft. Remove onions and mushrooms, and place in bowl. Wipe skillet clean with a paper towel. Spray well with nonstick spray. Pour lightly beaten eggs into skillet so that the bottom of the skillet is covered. Cover skillet and cook on low flame. After a minute or two, when the egg begins to set, gently lift the edges of the omelet with a spatula so the uncooked egg in the middle runs to the edges of the pan and cooks. Cover again. If needed, repeat the process of running uncooked egg out of the middle of the omelet. 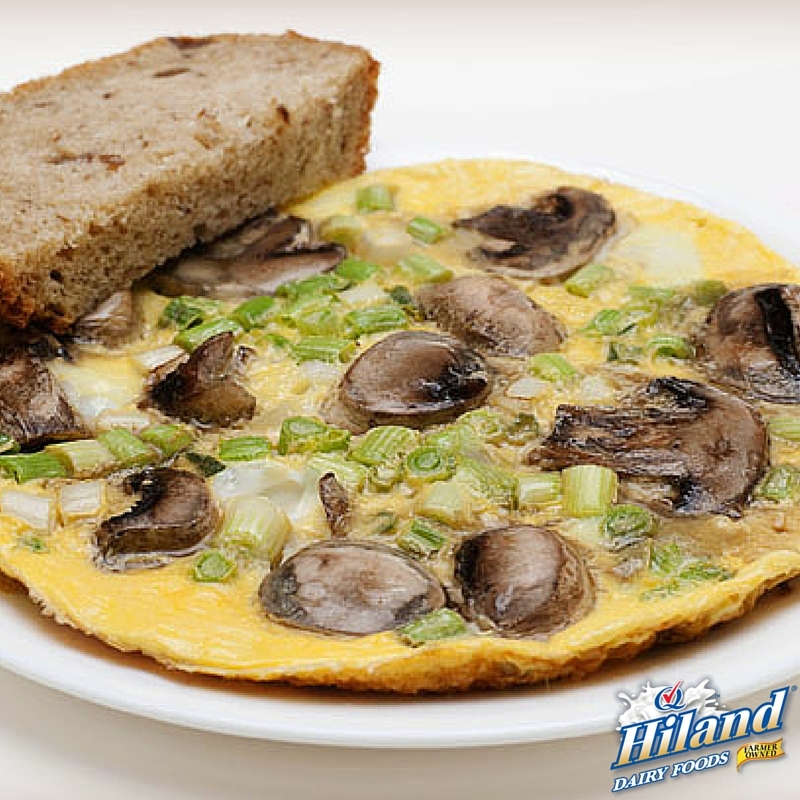 When the omelet has started to set, place the onions and mushrooms on half of the omelet. Sprinkle the optional cheddar cheese on top of the onions and mushrooms. Carefully fold the other half of the omelet over the filling. Cover skillet. Cook on low for another minute or two, just until the cheese is melted, and serve.